It's a tough balancing act, composing a score, because, more often than not, no matter how beautiful the soundtrack, it generally doesn't work without the visual element of the film it's inspired by. I vividly remember the many nights at univeristy when my friend would insist on playing the entire scores for Once Upon A Time In The West or Blade Runner at me, despite my feeble protestations that, without the films, they just didn't work (we were geeky film students, sue me). There is no denying the brilliance of Morricone or, only in the case of Blade Runner, Vangelis, but, and again you can sue me, their scores -while lovely - just weren't as effective on their own as they were when associated with Leone or Scott's singular imagery. 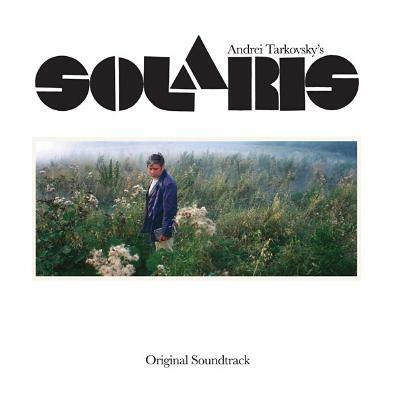 Eduard Artemiev's remarkable score for Andrei Tarkovsky's Solaris certainly doesn't conform to the above. A huge part of it is down to the film itself. Tarkovsky's movies are nearly all slow-paced, abstract and long, with lengthy shots taking in perfectly ordered sets and the actors who don't so much perform as inhabit the spaces the Russian director creates. Lighting, dialogue and camera work were all used sparingly but effectively, with time used to transform the narratives and plots into complex and spellbinding metaphysical reflections on the human condition. Fittingly, Artemiev's accompanying score is mysterious, dreamlike and abstract, an album that instantly evokes the images of the film, but also operates as its own bizarre entity. At Solaris' core sits a forlorn and mournful recurring Bach melody re-produced on ANS synthesizer, the machine's effects giving it a haunting, foggy texture that mirrors the confusion and mystery that unfolds during the film. Artemiev uses this base pad to build up his sonic universe and, despite the inherent familiarity of the tune, this realm immediately feels alien and otherworldly. The sci-fi organ take on Bach wheezes into a whirl of downbeat electronic drone that alternately drifts and crashes, swirling like a vortex around a ship heading into the cosmos. 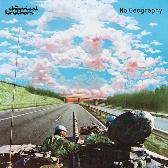 This is early synth music at its most exploratory, at times sounding similar to the weird and wonderful creations of the BBC Radiophonic Orchestra or Wendy Carlos. 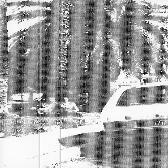 At others, Artemiev appears to prefigure a lot of what is currently happening in the synth, noise and drone undergrounds of today, with the wheezing take on Bach serving as something of an unintentional template for some strands of the blurry “hypnagogia” and memory music that are so popular of late, whilst his staccato bursts of unbridled synthetic mangling and subsequent wisps of melancholic sustained tones occasionally point towards the likes of Helm and William Basinski respectively. The second side is, if anything, more abstract than the first, with snippets of dialogue from the film (in Russian, natch) and clanking industrial sounds slipping in and out of Artemiev's billowing synth experiments, the latter evoking the sci-fi contours of the film without ever forming any sort precise narrative imagery, leaving much to the imagination. And, as on the first side, the Bach motif returns, a hesitant leitmotiv, like an irrepressible memory that isn't fully formed yet won't go away. Which, in a nutshell, sums up why Solaris is so much more than just a soundtrack album.